Plot Summary: Seven kids are transported to the Digital World, a strange place where digital creatures called "Digimon" reside. A group of Digimon soon befriend them and keep the kids out of harm's way. 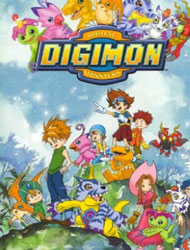 The children then discover they are the Chosen Children, which protect the Digital World from evil Digimon like Devimon and Vamdemon.